How sweet! Love those little faces. Really cute! 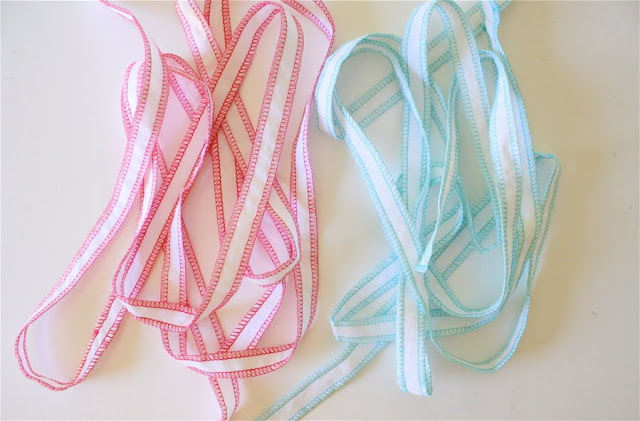 And I definitely have to try your ribbon-idea. 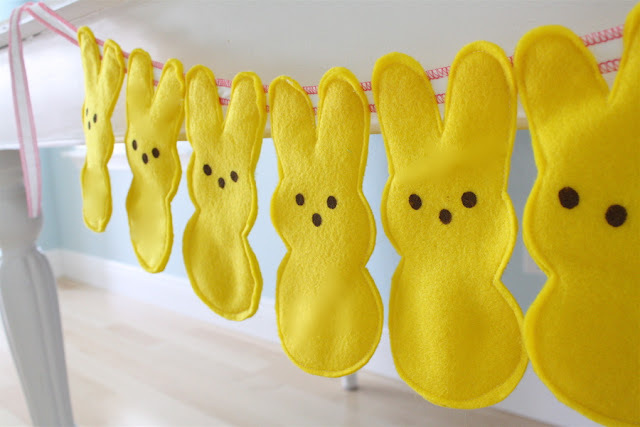 Every Easter my Mom would give me a packages of peeps. I actually like the taste of them! Your project is so cute. I love it. Oh those bunnies are so cute! That bunting makes me smile and made my day. The photos & styling are gorgeous. so cute! but are tutorials supposed to make you hungry?? Pattern printed, can't wait to get started!!! Oh my ...I am in love! xoxoxo so cute! ADORABLE. Of course everything Dana does is adorable. So fun! I love this! I'm going to save the idea for next year since I'm trying to keep projects to a minimum while trying to sell my home. I adore Peeps! My kids have Peeps Easter baskets, so we definitely need this! 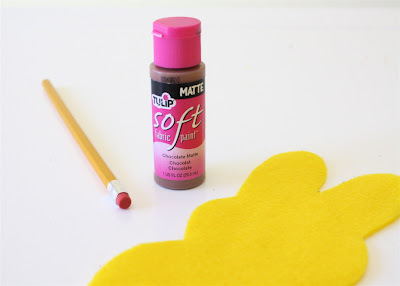 Off to M&L for some felt. Oh my goodness! These are the cutest things!! 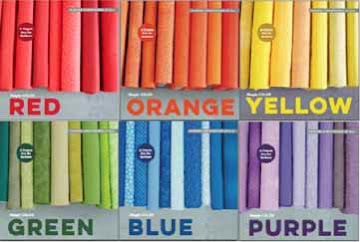 I live in a very small town, and I sincerely hope our local Wally-World has some felt and paint! Otherwise it will be 3 hours in the car this weekend! Thanks for such a fun post! And a really great blog. I find so much inspiration here! way to cute!! 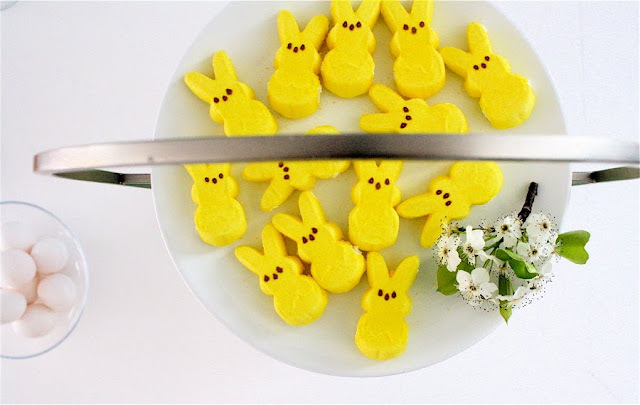 Nothing says spring like peeps!!! I almost choked on my frosted flakes when I saw this. Can they get any cuter? Thanks! Some 'peeps' have all the fun!! oh my word... those are way too cute! i actually cant stand actual peeps, BUT i totally love this idea! so so so cute! Vanessa!! Theses are amazingly cute!! Looks so nice hanging! 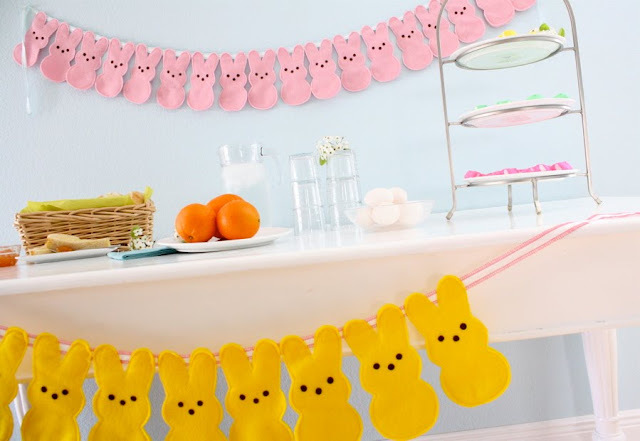 I just LOVE peeps and I think those are so adorably cute...! this is just so awesome I almost feel sick!!! hehe :) LOVE IT! 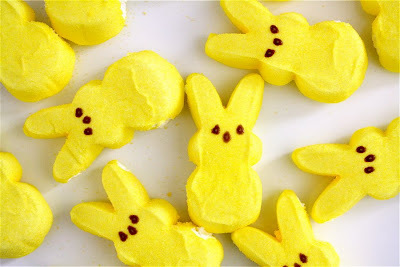 I sooo love me some Peeps! Thanks for this wonderful tutorial and the inspiration. Too cute! Too cute, will have to make. Love your blog and Dana's Blog as well. Thank you for hosting her tutorial. 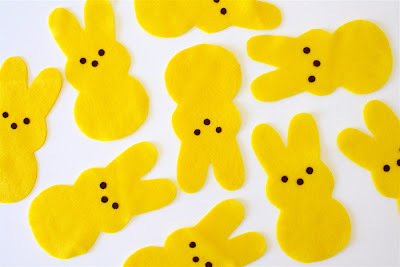 I love Peeps! Even more now! That is sooo cute! 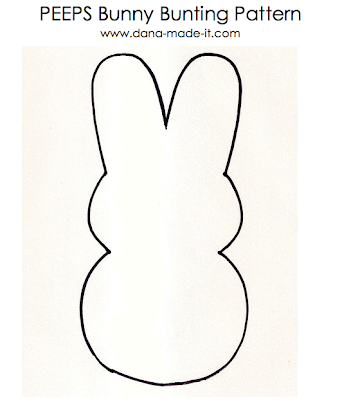 You're pretty clever Dana! This is beyond cute, I love it! Thanks so much to both of you. I'll be linking. Super cute!! Peeps are my hubby's favorite! Very cute! 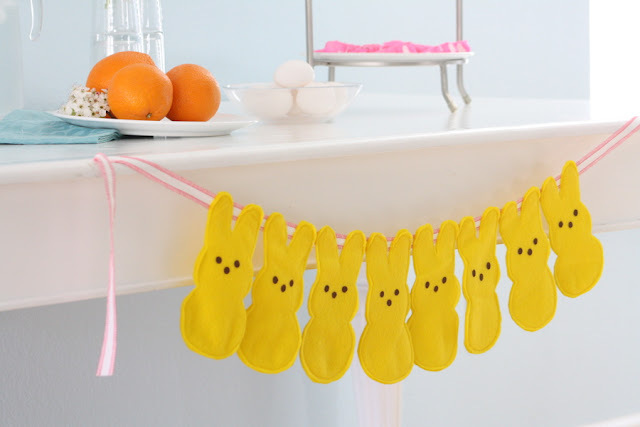 And I love peeps, but I would never have thought to do them as a bunting! Oh Help! I want some of those sugar poofs right now! 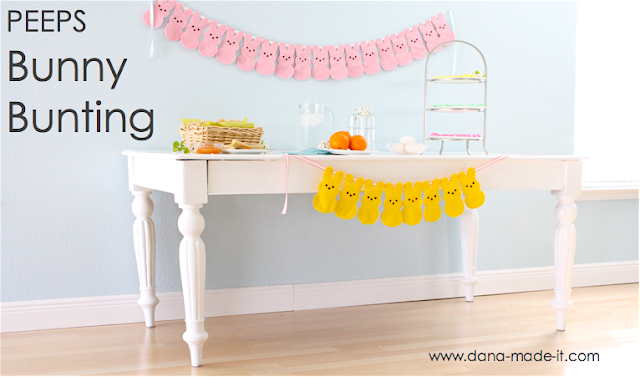 And the bunting/banners are too cute for words! Ha ha ha! SOOOOOoo cute! I love it! 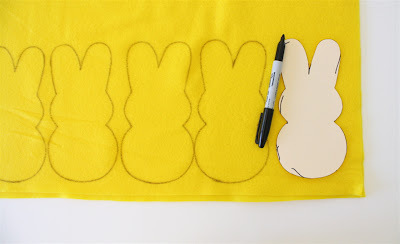 This is too stinking cute I am totally making this! 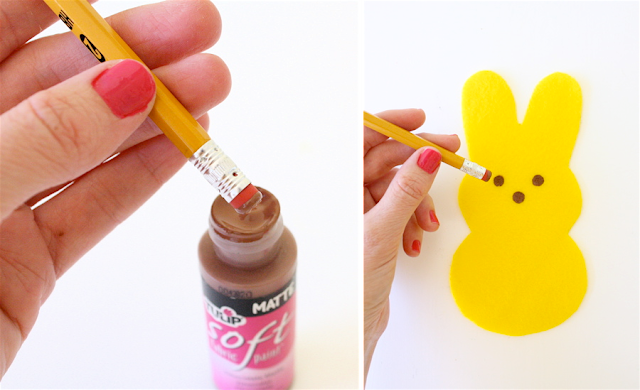 Could Peeps be any cuter? I don't think so! The photographs are stunning! How DO you do it? Well done! Darling! I am starting now! When I first glanced at this I thought you has strung real peeps together...Not wearing my glasses mixed with wishful thinking. 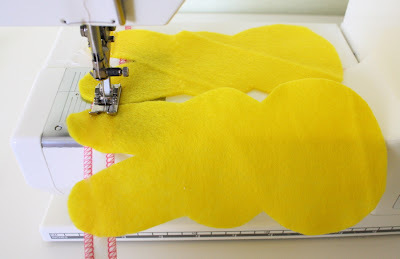 I really love these...and I will be making some today. Okay, you had to hear me laughing at the last comment on this post! You just had to. Guess whose tute is in the link luv roundup today? you betcha! love it! so adorable!!! 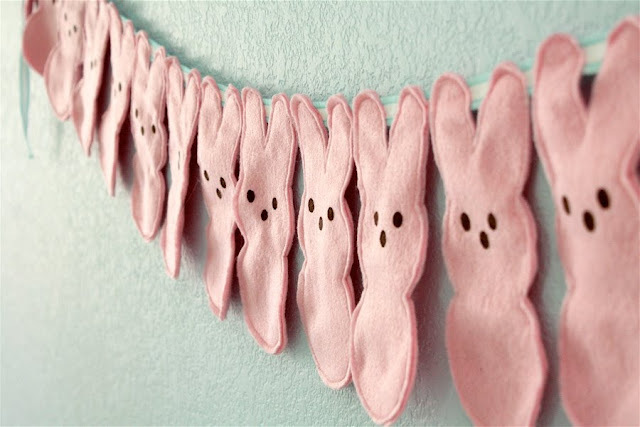 Oh my gosh this is the cutest bunting I have ever seen!! 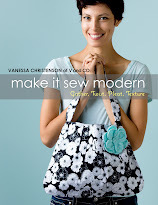 I LOVE it - totally on my weekend project list! Thanks for sharing ur genius idea!! This is tooooo cute! My husband LOVES peeps. I always tease him about it so I'm going to whip these up for sure. Thanks for sharing. I'm going to feature this on my blog. I hope you'll come over and visit! I just might have to give these a try, so cute! OMGosh! Being a Gran, I think I have died and gone to heaven with your site. 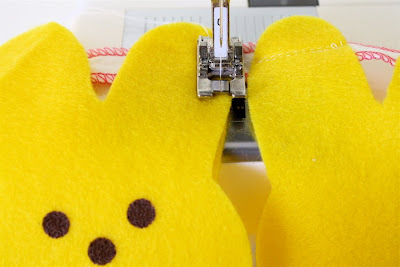 Piecefully sent me over when I commented on her peep banner on her blog! 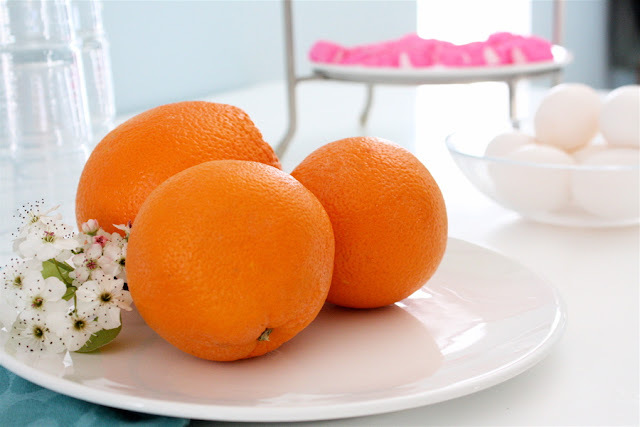 I am going to make these. Your tutorial is so clear that I know I can do it. I thank you, my grand children thank you!!!! Opps! 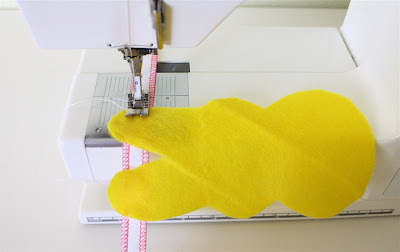 I miss spoke - It was Quiltmamas that had a peep banner on her blog and she is the one who sent me over to your blog. I am sorry, please excuse the ring. Happy Easter!!! This makes me excited for next Easter. What a totally sweet decoration idea - so much better than the cheap crap from the drug store. 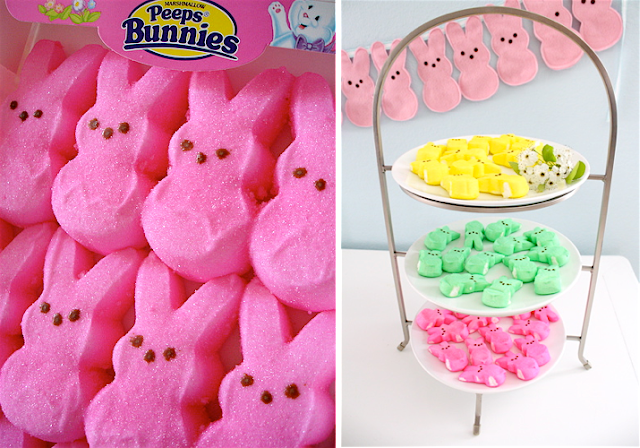 Plus, as vegetarians, we can't have Peeps (geletin in the marshmallows) so it's a way to have them around. oh how wonderful bunnies they are, I cant believe this, but I have to admit this all they are so pretty and thanks for sharing details about how to prepare all this. Those are cute and artistic. It looks simple, so I probably set a session with my nieces and have it as as decoration for a party. Thanks for the idea. 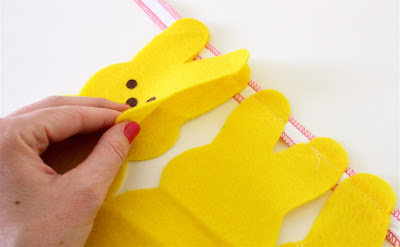 This blog is content amazing information about Easter banner which is very useful for me. It very important information about Easter festival. 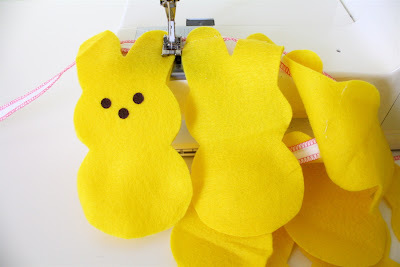 Wanted to let you know I featured these on my blog in a collection of "Peeps" Ideas! So Cute!